Northern Arizona University is committed to helping you and your family through the financial aid process. Information for NAU parents. Bookmark this page for regular updates as you approach New Student Orientation and your first days as a Lumberjack. The NAU Free Application for Federal Student Aid (FAFSA) priority date is November 15. If you meet this date and certain eligibility requirements, you will be considered for limited grant funding. Awarding begins mid-December, after which point you will receive an award letter in the mail. When you receive your award letter each year, read it carefully. 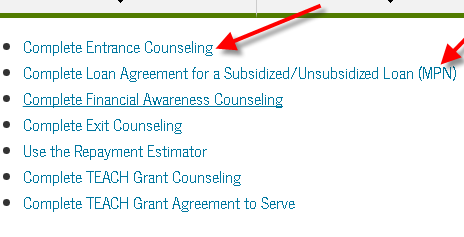 Your financial aid awards are based on the information provided on the FAFSA and are subject to change should you be selected for verification. This will be noted on the award letter and your To Do List in LOUIE. Awards listed are split between fall and spring semesters, to ensure students receive equal amounts each term to pay institutional charges. If you are offered a Federal Direct Loan, decide whether you want to accept the full amount or a portion of the offered amount, or decline your loans completely. If accepting, you must take further action to secure these loans. Accept or decline each year. Complete and Entrance Counseling and Master Promissory Note (MPN). If offered the Parent Loan for Undergraduate Students (PLUS), your parents must take further action to apply for and accept either the full amount or a portion of the offered amount. Submit your 7th semester and final HS transcript to Undergraduate Admissions to be considered for Freshman Merit-Based Tuition Scholarships. All third-party, private donor scholarship checks should be received by our office no later than Aug. 1 for the fall term and Dec. 1 for the spring term to ensure they are posted to your account prior to fall disbursement.